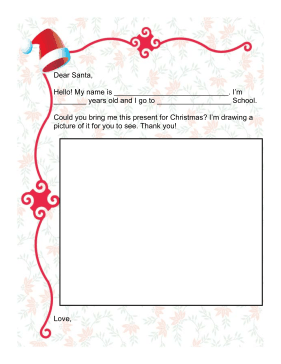 Draw a picture of what you want for Christmas with this printable letter to Santa. Hello! My name is ____________________. I'm ____________________ years old and I go to ____________________ School. Could you bring me this present for Christmas? I'm drawing a picture of it for you to see. Thank you!